I think the Gingerbread Man is my favourite fairy tale to study. 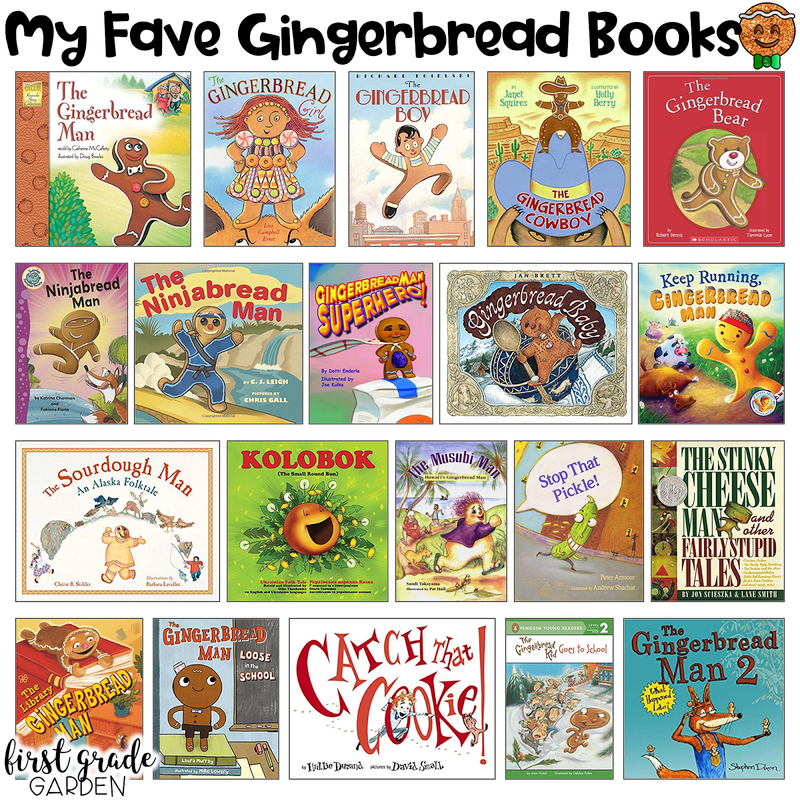 I usually spend the whole month of December reading and comparing different versions of the Gingerbread Man. 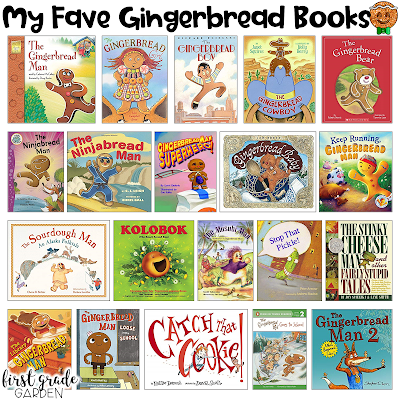 We started on Monday this week, so from now until Christmas Break we will read a total of 19 Gingerbread Man books. My students always love them! They can't wait to see which one we'll read each day. I love making a large Gingerbread House to keep track of the different books we read. The title cards on the side came from an old Gingerbread unit from Deanna Jump. The decorations are just enlarged clipart from KPM Doodles. I printed off covers of all the books and tape them to the top of the chart each day. Then after we read the story, we write down the characters (in order of appearance), the refrain (repeated part), and the ending. 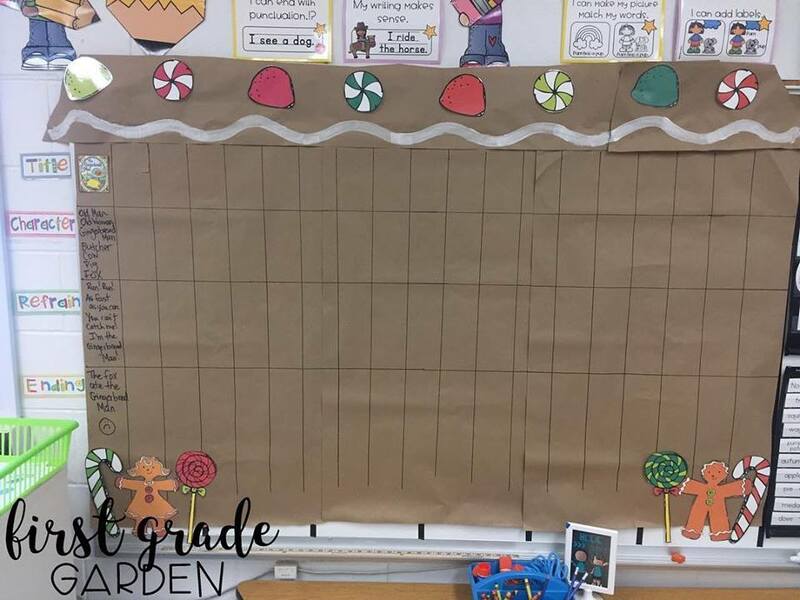 We include a :) or :( depending on the ending for the Gingerbread character!